Are you looking for Swagbucks Code Alerts? 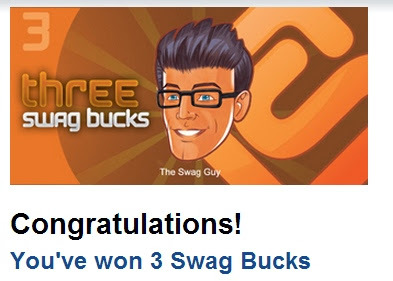 I have been a Swagbucks member since 2009 and love it for getting Free Gift Cards and Paypal Money (I redeem for Paypal currently). Most days, they have a Swagbucks Code Alert at some point throughout the day. I will be posting alerts here from now on. If you miss this one, don't worry there will be another one soon! This same post is always updated with the current code. For more information about Swagbucks and what it's all about, check out my guide here. If you are interested in joining Swagbucks, we have a new member registration code here! just posted mine, still good!